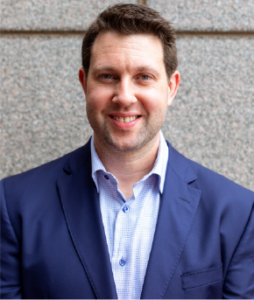 Anthony is a biotech entrepreneur having founded and served in a variety of roles in several startup companies, including MIMETAS US, Birich Technologies, and Nitron Therapeutics. As an “Entrepreneur in Residence” at BioHealth Innovation, he has consulted for over a dozen biotech companies. In this role, he led technology diligence, market analysis and business and product development efforts. He also participated in funding raises for two companies, and performed scouting efforts for Roche and MedImmune, leading to several academic collaborations. As the President of MIMETAS US (an affiliate of the Dutch company Mimetas BV), he raised over $2.5 M in non-dilutive funding and over $1 M in commercial partnerships to develop organ-on-a-chip based drug discovery models. 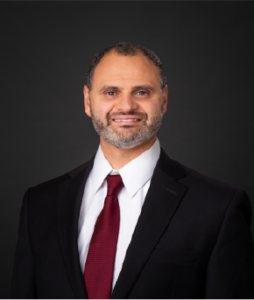 Dr. Saleh has more than 15 years of experience in microRNA research, nucleic acid chemistry and the design of therapeutic oligonucleotides at Johns Hopkins University, The National Institutes of Health, and in the private sector. Dr. Saleh is the lead inventor on miRecule’s discovery platform, lead therapeutic MC-30. Rob has deep expertise in the field of oligonucleotide therapeutics with an entrepreneurial background in biotech spanning over 12 years. He was a key scientific lead during the discovery of RNAa (RNA activation). Dr. Place’s background in medicinal chemistry and regulatory processes in context to oligonucleotide drug development, delivery and the pre-clinical IND process, provide broad expertise in the immediate steps to bring miRecule’s technology to practical application. Ashwin has operated in multi-faceted roles to guide and build life science companies at various stages of development, contributing to several successful funding efforts. As an Associate at BioHealth Innovation, he has functioned as an “entrepreneur on the ground” for over a dozen companies, being intimately involved in day to day business development activities. He has managed multiple consulting projects for numerous biotech companies – from nascent university technologies to Series A startups and big pharma. 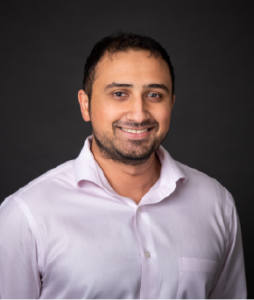 His role focuses on developing miRecule’s business and funding strategy from proof-of-concept through IND enabling studies and early clinical trials.